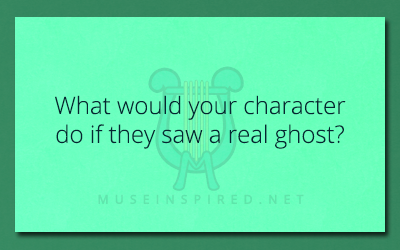 Character Development – What would your character do if they saw a real ghost? Character Development - Where was your character at the stroke of Midnight on New Year's Day? Character Development - Who would your character call if they landed in jail?